Submental fullness, also known as double chin, is a result of multiple different factors including weight gain, genetics and aging. 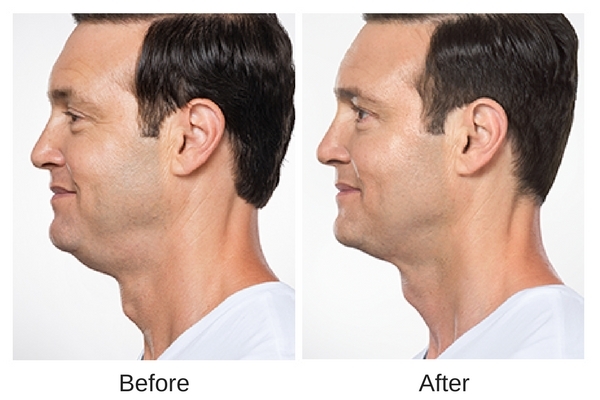 Kybella® is a one of a kind injectable treatment for adults with submental fullness who do not want to undergo surgical correction. The active ingredient in Kybella®, Deoxycholic acid is a naturally occurring molecule in the body that aids in the breakdown and absorption of dietary fat. 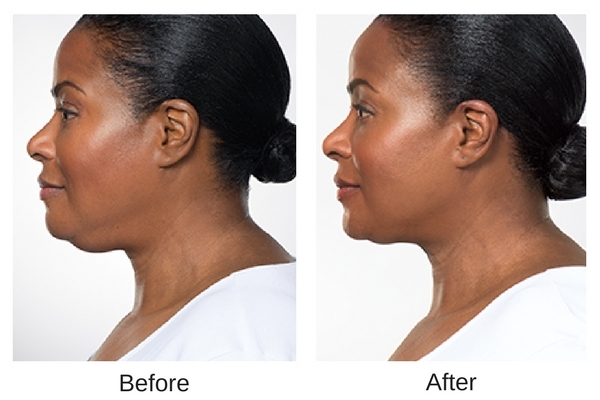 Kybella® is a synthetic version of deoxycholic acid that when properly injected under the chin, destroys the fat cells and can improve a patient’s profile. Patients typically require multiple treatments, spaced one month apart that will be determined at the time of evaluation. Each treatment entails multiple small injections administered under the chin into the fat layer, with treatments lasting approximately 20 minutes. Immediately post injection, patients can expect some swelling, numbness, discomfort and/ or bruising which is transient.